Harry Mitchell doesn't think investors should be able to buy homes like this from banks and fix them up! Democrat House incumbent Harry Mitchell is so desperate to save his seat in Congress he is spreading a smear campaign about Republican challenger David Schweikert. In video ads, he claims that Schweikert preyed upon victims losing their homes to foreclosure. He claims that Schweikert even bought a home that an owner was in the process of saving. All of these accusations are FALSE. Schweikert has NEVER bought a property from a homeowner in foreclosure. He has never even owned someone's mortgage or deed of trust. He has never loaned money to anyone. He buys property from BANKS and trustees. The banks have already foreclosed on the homes he buys. 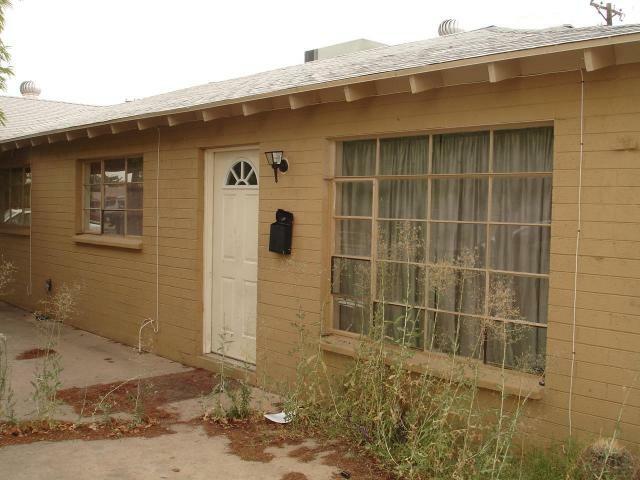 After Schweikert purchases these properties, he fixes them up and rents them. This is standard practice for any typical real estate investor. Mitchell can't get his facts straight on business because he doesn't understand it. Apparently he would rather prohibit investors from buying foreclosed homes from banks? Just let the properties sit with weeds growing as the banks own them? It makes no sense. We NEED investors to purchase these properties. Especially investors who will fix them up instead of just letting them sit deteriorating. Schweikert actually fixes them up and puts them back out on the market for people to rent, he doesn't just sit on them and wait to sell. We hear Mitchell is the one with real estate problems. Apparently something is about to come out regarding his rental property. Maybe the Democrats should have checked Mitchell's properties first before they launched this bogus attack on Schweikert.